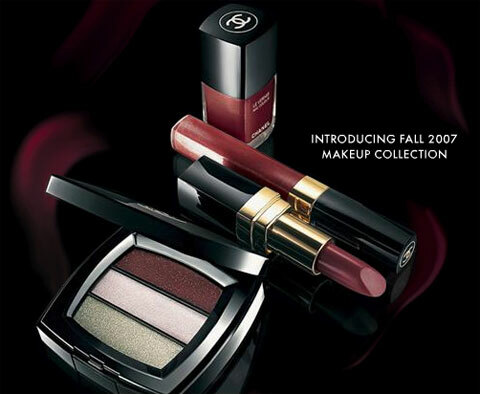 I am loving Chanel's fall colors! On a little trip to Macy's this weekend, I picked up a crucial new nail polish: Chanel's Vamp. And I couldn't resist Chanel's new Lip Glossimer pictured above: Hibiscus. Apparently, Vamp nail polish reached insane popularity in the 1990s, and Chanel couldn't keep it stocked. The shade reached a sort of iconic level of nail polish notoriety. The dude behind the Chanel counter at Macy's was trying to convince me on the Black Satin nail polish, which is "the rage" this season, but black nail polish looks pretty ridiculous on my fingers. Vamp was a great dark alternative POUR MOI. BTW, the same dude also tried to convince me to spend $120 on a makeup case, which was a failed effort on his part. Usually, I'm a Sally Hansen or OPI gal, but I couldn't resist the Chanel polish, and I'm glad. The polish is super glossy, and I dig that. I took a stupid, artistic photo with my mobile so you could see the color in real-ish life. I just bought a cheaper Revlon version of that color called Blackberry, I hope it'll look that glossy, that's sweet. sandra - let's see some pics!! melina - if you wanna see how it looks on you, they will put tape over your nails at the Chanel counter so you can see how it looks without actually painting your nails. ooohhh I might have to! Although Chanel might not be in the budget these days.